We are pleased today to kick off our wedding vendor spotlight series with not only our good friend but extremely talented hair and makeup specialist, Linda Phelps who owns Formal Elegance Hair & Makeup. 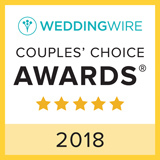 In the years we have been working with Linda & Formal Elegance, we have received nothing but high praise from our brides regarding the level of service and professionalism she provided. Read the content of our interview below and if you have a moment please share this online with your social media connections. Unique Events: Would you tell us about yourself and how long have you been a hair & makeup artist? Linda Phelps: I have known I wanted to be a hairstylist/makeup artist before I graduated high school. I went to beauty school in Florida back in 1981 and passed my test with enough points to obtain a national license. It has taken me many years to figure out that my passion in this field is wedding hair and that I absolutely love makeup and the application of it. It’s definitely an artsy type business and gives me a sense of joy when I work with brides and wedding parties!! Unique Events: In all likelihood there will be brides who will be reading this and who are interested in knowing more about choosing a wedding hair stylist and makeup artist. What advice would you give them? Linda Phelps: I would say look not only at the prices, but look at the pictures of past events and reviews. Talk to your professional and get a sense if personality-wise you’re a match. Working with someone who listens and is easy to get along with is imperative to make your wedding day a happier occasion!! Unique Events: What would you say are the biggest challenges for brides and their bridesmaids as it pertains to having their hair and makeup done on their wedding day? Linda Phelps: Asking a bride and wedding party to not wash their hair on the day of services! After providing over 30 years of services I have had so many girls come to their appointment with wet or damp hair. What they don’t understand is why I ask for them not to wash their hair on the day of their wedding. I ask this because hair that has product on it from a previous day holds a style so much better and LONGER than hair that is freshly washed. After styling is complete, your hair won’t look oily like many fear it will! Plus, a stylist will always carry dry shampoo for those that may be ultra prone to flat, oily hair. Although I have never seen hair that when it is “dirty” didn’t allow me to create an amazing style! Unique Events: What are you favorite resources that you think provide brides some great ideas for their wedding day hair and makeup? 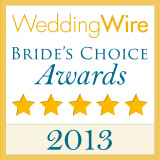 Linda Phelps: Past friends and brides that they know! Those are the best sources! Second would be Pinterest or Wedding Wire. Take a look through other professional pages at photos of hair styles completed then magazines and the internet. Unique Events: Before we wrap up here, we want to thank you for taking time to share your wisdom with us. Lastly – are there any myths or misconceptions you’d like to set the record straight on when it comes to wedding hair and makeup? Linda Phelps: Wedding photography is probably the most important vendor you will pick, this person will bring you memories for a lifetime to come! As it relates to makeup and photography, I have a TON of brides that ask for a natural application, which is great! I always encourage my brides to make sure their eye makeup is bold and lip color is one that can be seen. Nothing drowns out a picture more than no lips, but eye color is imperative also!! If you are, then you may either call us directly at 706.851.9106 and you will speak with me, Andrea Boykin, lead coordinator, who will also be your very own wedding planner. You may also use the yellow button below to reach out to me. Remember, we offer a complimentary wedding consultation with no strings attached! 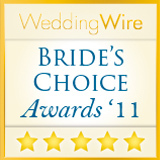 Andrea Boykin is the owner/operator and chief wedding planner for Unique Events. 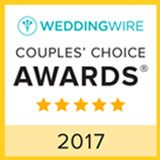 For over 10 years, Unique Events has proudly served clients from literally all over the world in helping them have a wedding in the north Georgia mountains. When not helping brides make their wedding day dreams come true, she is the proud mother of two boys, Justin and Max, and wife to Ben. 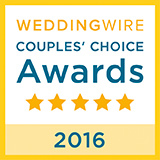 The WeddingWire Couples' Choice Awards® recognize the top five percent of local wedding professionals on WeddingWire who demonstrate excellence in quality, service, responsiveness, and professionalism. Get the Wedding Planning Help You Need. Start Here or call 706.897.4352.